I'm a huge fan of "smart" technology. For me, they're more than just fun and novel - they actually give me independence and help me function better! 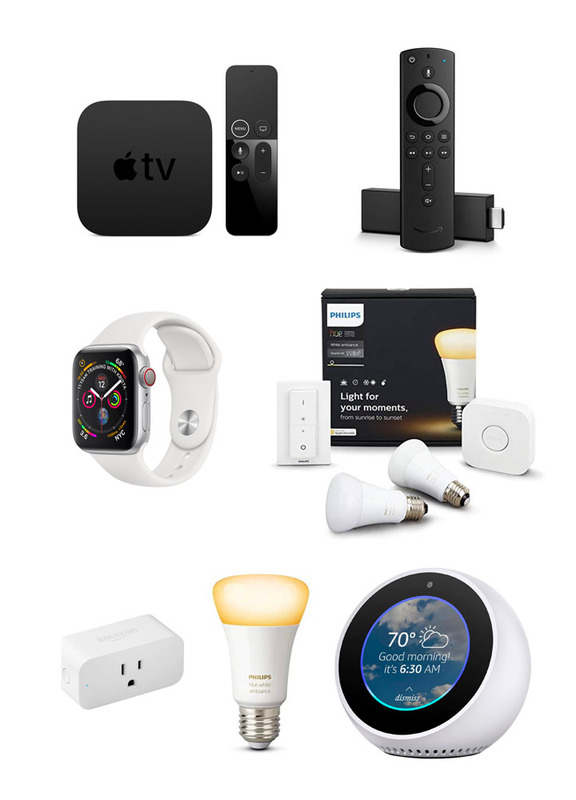 Things like turning lights on and off, controlling other electronics, keeping a cup of coffee warm... these are everyday things that are made so much easier for me by smart technology. But the best part is, they're not made just for people with disabilities - they can be used by anyone. That's my idea of universal design, and I love it. Since it's the holiday season, I wanted to share some of my favorite smart technologies in a gift guide. Whether or not you're buying gifts for someone with a disability, it doesn't matter - these gifts will be appreciated by all! I love my Apple TV. I can watch Netflix, Hulu, Amazon Prime, iTunes.... it works with all of the streaming platforms! It also syncs with my music, which is great, and also pairs really well with my phone. It comes with a remote, but I can use my phone as a remote instead, which is especially convenient when I'm watching from the comfort of my bed! I actually don't have one of these, but my sister does. If you have more Amazon things than Apple ones, I can see how this would be the way to go. It pairs with Echo devices, so you can tell Alexa to "pause Fire TV" and she does! I wrote a review of my Apple Watch here, and I still recommend it as highly now as I did then. I don't use it for fitness tracking (although it's great for that), but I do use it to read and reply to texts, see what e-mails are coming in, etc. My favorite fun feature is the ability to control the camera on my phone. I can't take selfies because I can't hold the phone up high enough and reach the camera button, but being able to press the "shutter" button on my watch makes things easier! I've written about these before, too (here). They are my absolute favorite thing. I have the "white ambiance" kind which means they can be both bright white, yellow white, and everything in between. I have them set to turn on slowly, like sunrise, every morning, which helps me wake up just a little bit easier. And I can use my Echo to turn all my lights on and off, so I don't have to worry about having another separate switch. Plus, who doesn't love being able to control the lights from bed! This is the easiest of everything on the list, but still really useful! It makes anything plugged into it "smart" - so if you don't want to buy the fancy smart lights, you can just plug your lamp into a smart plug and control it that way. This goes along with the starter kit, above, but is just additional single light bulbs. The starter kit comes with either two or four bulbs, but if that's not enough, you can buy more separately. I know - definitely not the first time I talked about this (here and here). I think the Spot is my favorite Echo - not too big, but still has a small screen so you can see videos or look at the weather forecast. This post uses affiliate links. I may earn a small commission for any purchases you make, but all opinions are my own.